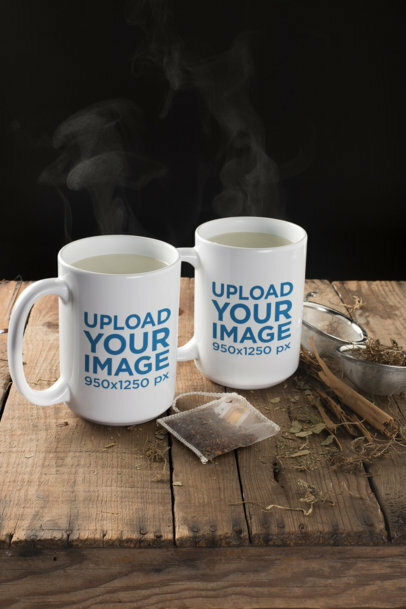 Amaze your customers with incredible visuals! 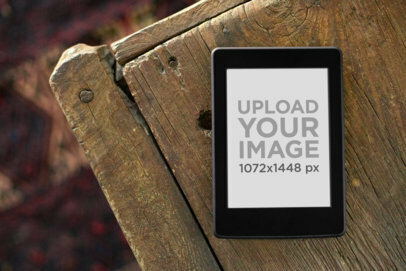 Try Placeit's outstanding picture frame mockups and upgrade your brand to a whole new level. Are you ready? 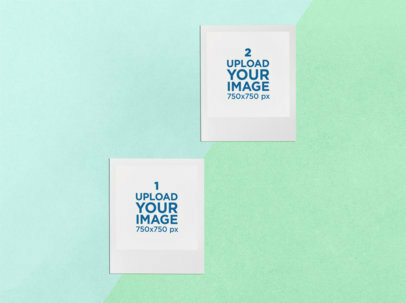 Begin customizing this minimalistic and retro-looking visual of an Instax Mini frame mockup, just what you need to display your content online. 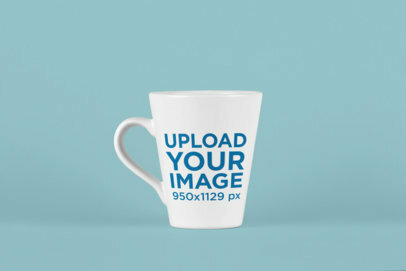 Choose as many mockups as you want, and improve your marketing strategy today! 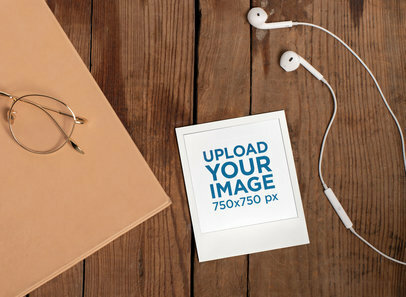 Show off and promote your beautiful images with a cool Polaroid Frame mockup! 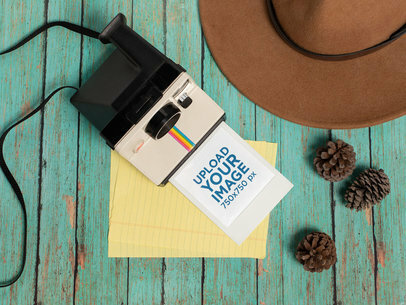 This Polaroid Pic will give your website or social media account a cool and retro feel. 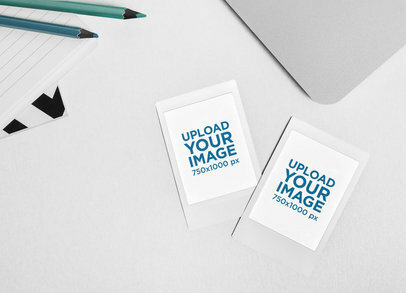 Placeit offers a ton of cool Instant Camera mockups that even feature subtle color filter effects. Cool, right? Try it out now! 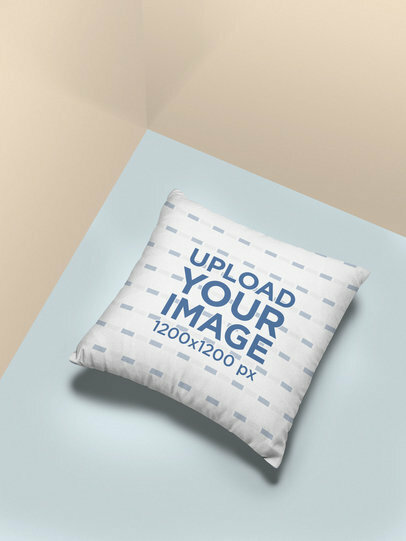 Your mockup will be ready in no time. 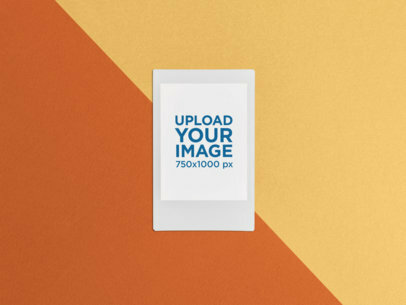 Create a retro promotional picture with a touch of minimalism with this Instax frame mockup from Placeit. 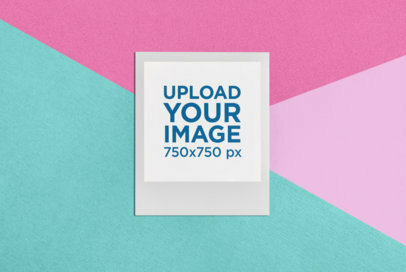 This image features a rectangular instant photo frame en a colorful background with customizable color geometric shapes. 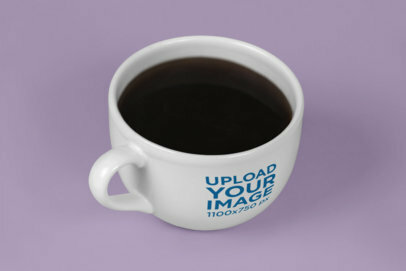 You don't need any graphic design skills or software, with Placeit you can do it all online! 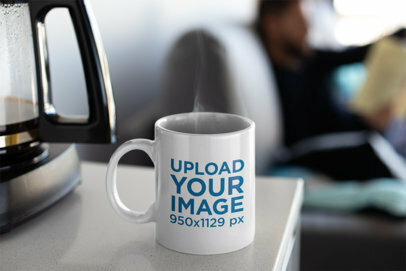 Wow-out your customers showcasing your content in the coolest way there is! 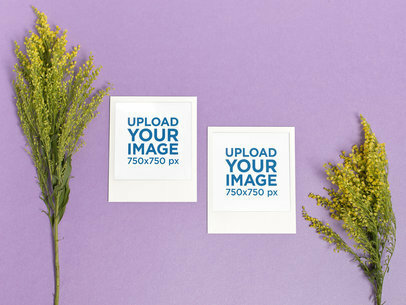 Begin customizing Placeit's new Polaroid frame mockups, and display your brand online with a retro vibe. What are you waiting for? 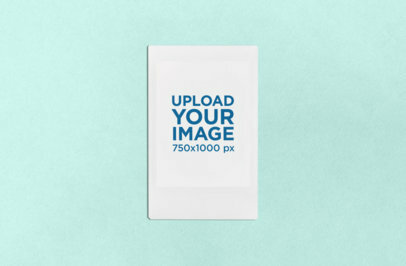 Start with this minimalistic 1:1 picture frame mockup over a split colorful surface, or check out any other of Placeit's mockups, and improve your marketing strategy right away! 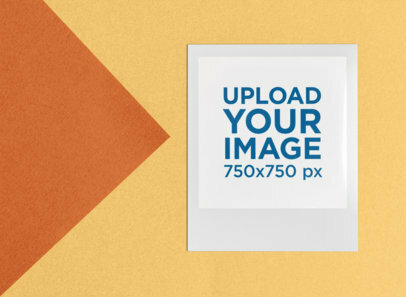 Create a realistic Polaroid visual for your audience with Placeit! 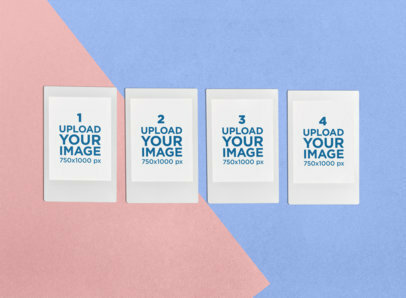 It's easy, we offer a ton of cool Polaroid Frames that will perfectly fit your style or image. You can even add a color filter! Cool, right? 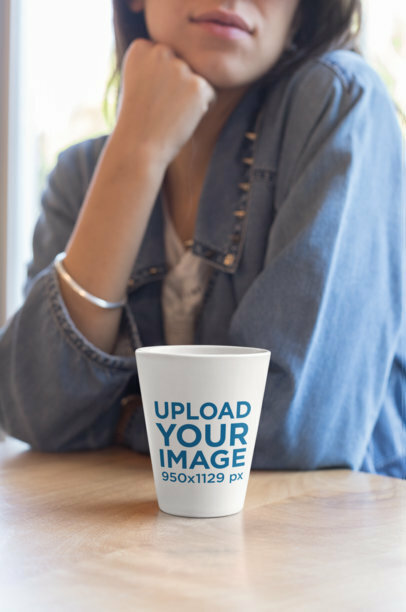 This will be an eye-catching visual for cool Instagram pics, social media promos, or more. 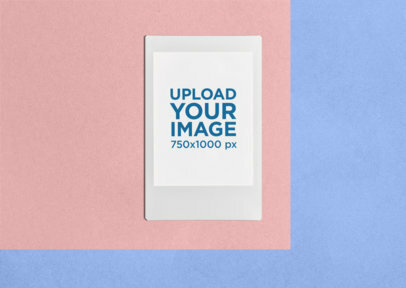 Edit your Polaroid Frame mockup now. 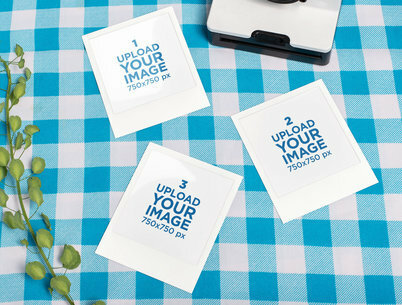 Show off your cool Photography skills with Placeit's easy to use Instax Frame mockups. 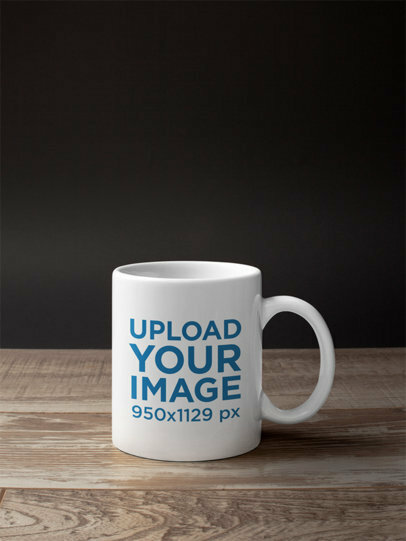 They're extremely popular and add a retro touch to your website or social media. 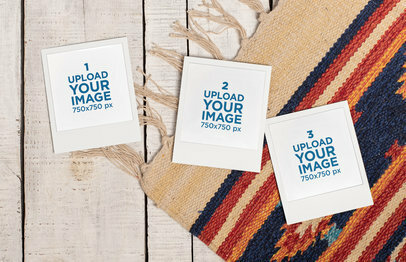 We have a wonderful collection of Instant Camera mockups you can choose from. Try it out now. It's easy! 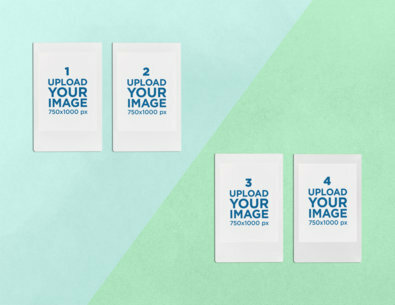 Edit your Instant Camera mockup now. 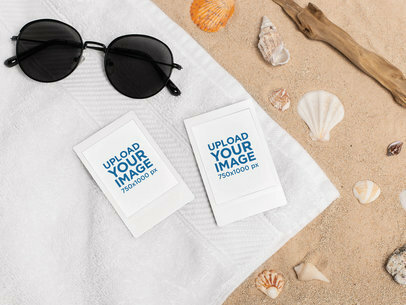 Create an amazing promotional image in just a few clicks with Placeit's Instax frames mockups. 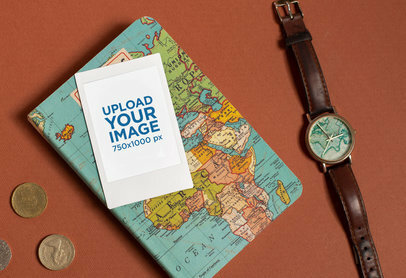 This picture features a world map an antique watch and some coins, ideal to transmit a feeling of adventure. 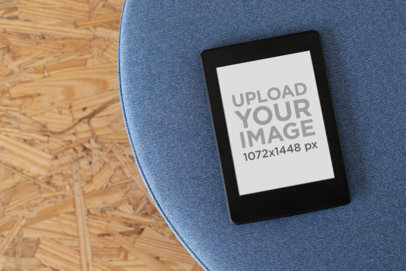 Don't waste any more time and start creating beautiful promo pictures with Placeit. 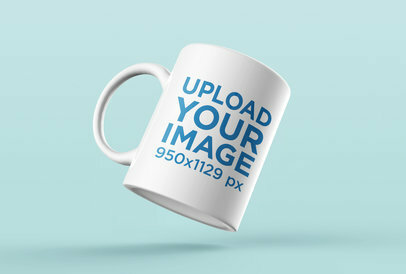 Are you looking for a modern way to display your brand online with cool visuals? Placeit's got you covered! 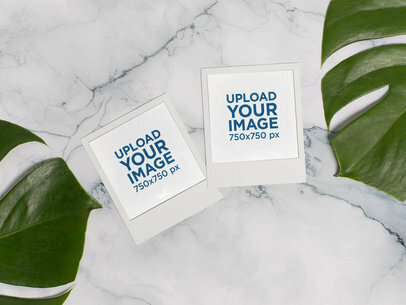 Start customizing these Polaroid frame mockups by Placeit and in a matter of minutes you can have a whole set of unique visuals for your social media pages and POD websites. Are you ready to try it? 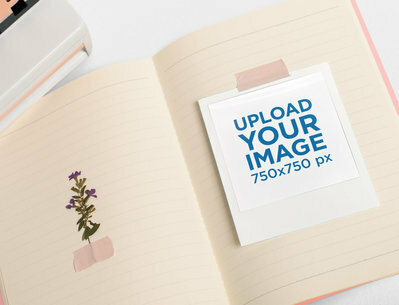 Check out this Polaroid frame mockup over a notebook or choose your favorite from Placeit's wide variety. 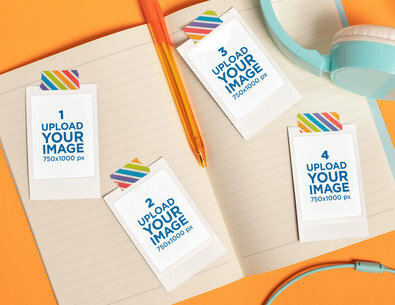 Promote your cool images in a trendy and eye-catching way with Placeit's amazing Polaroid Mockups. 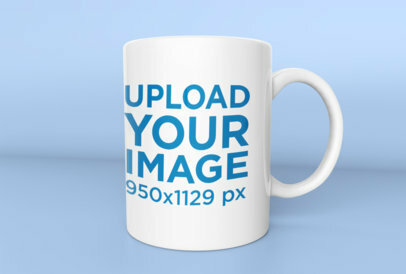 Your designs will have a retro feel that is all the rage! Just customize the settings to your liking. 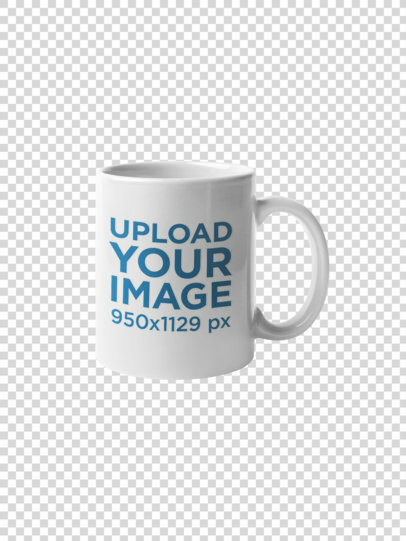 You can even add a subtle color filter to your image. Cool, right? 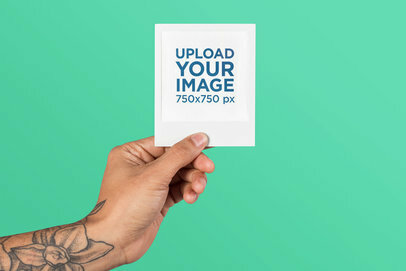 Edit your Polaroid mockup now. 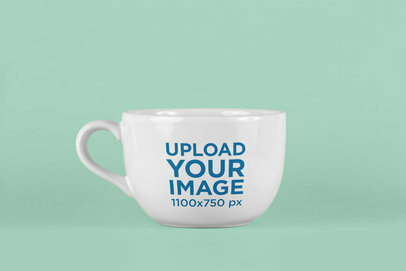 Amaze your followers and customers with retro-looking visuals for your brand promotions! 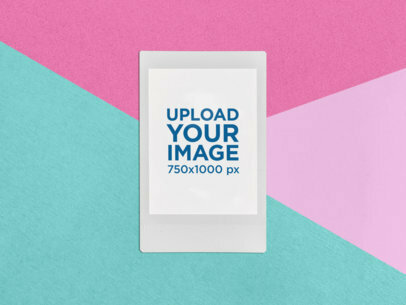 Try the new Placeit's Polaroid picture frame mockups, just like this one featuring an Instax Mini displayed over a fully customizable bicolor surface. What are you waiting for? Choose as many visuals as you want and improve your marketing strategy right away. 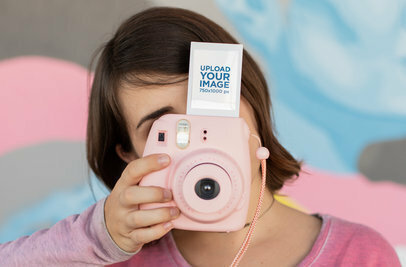 Instant Cameras are all the rage! So what are you waiting for? 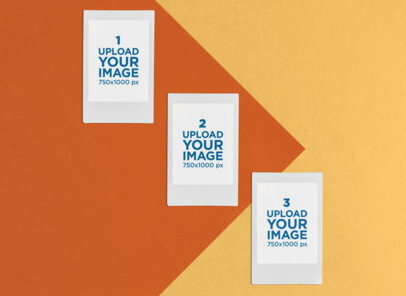 Promote your images with a cool Instax Frame! Your website or social media will get more clicks, follows, and views. 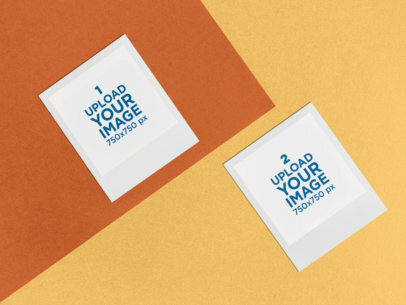 It's easy just choose any mockup from our Polaroid or Instax Frames collection and customize the settings to your liking. 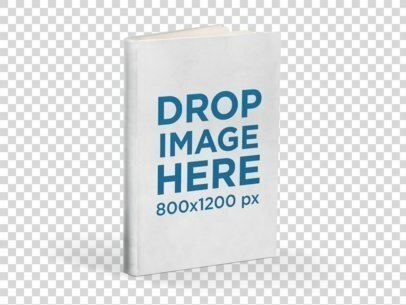 You can even add a subtle color filter to your image. Cool, right? Try it out now. 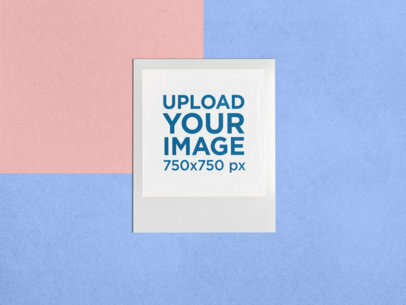 With Placeit's Polaroid Frames mockups, you can create cool promotional pictures for your social media or website in no time; just upload your photograph, select the color filter and check in real time how it may look in the end. This picture features a desk with customizable color and some studying supplies for a casual look. 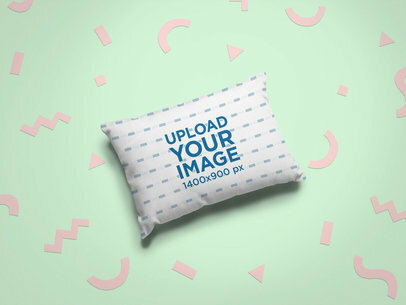 Display your content in a cool retro vibe with incredible visuals! Try Placeit's easy-to-use Polaroid picture frame mockups, just like this one over a wooden surface, the right shot to showcase your brand's logo or whatever you want to your customers. Amazing, right? It's your turn! 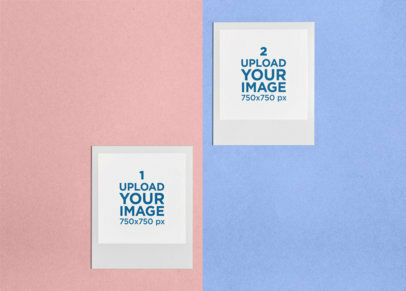 Choose your favorite Placeit Polaroid frame mockup and improve your marketing strategy today. 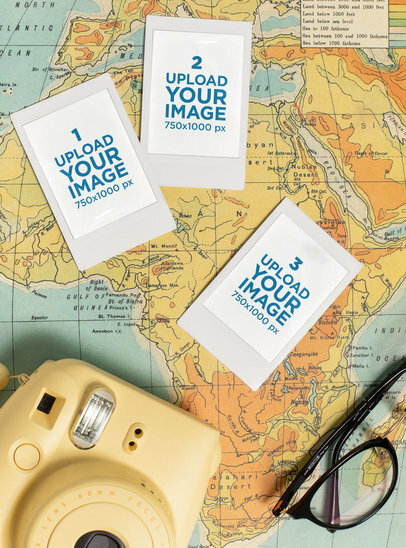 Create a fantastic visual of how your amazing photography looks on a retro Polaroid camera! 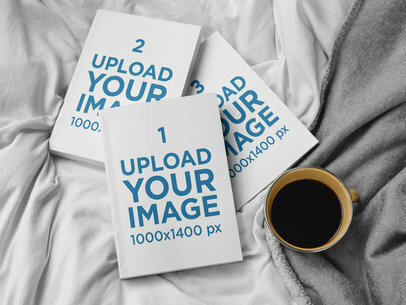 We offer a ton of amazing mockups that will leave your audience awestruck. Just customize the settings to your style, you can even make the background transparent! Cool, right? 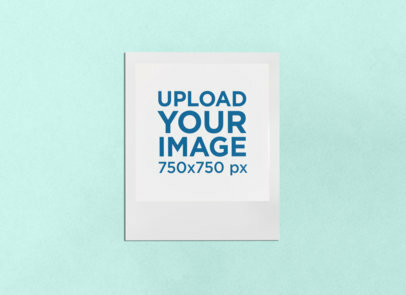 Create your Polaroid Frame mockup now. 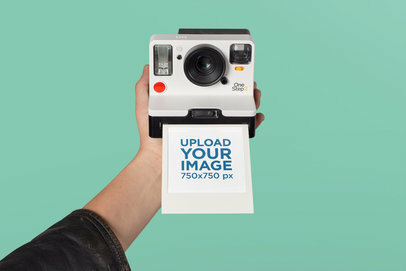 Create an amazing promotional image with this cool retro-looking polaroid mockup from Placeit. 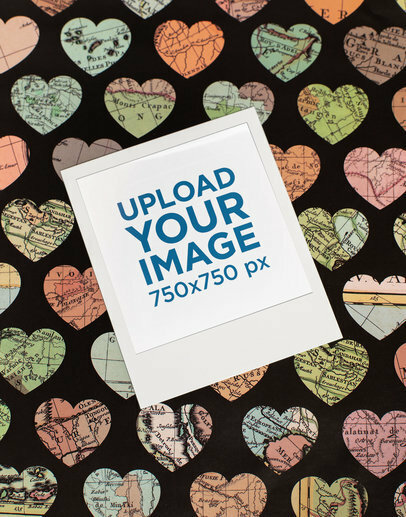 This picture features a polaroid photo lying on a surface with a heart pattern, but the hearts have little maps in them, perfect for a travel agency, for example. Try it now and see how easy it is to turn something simple into something extraordinary! 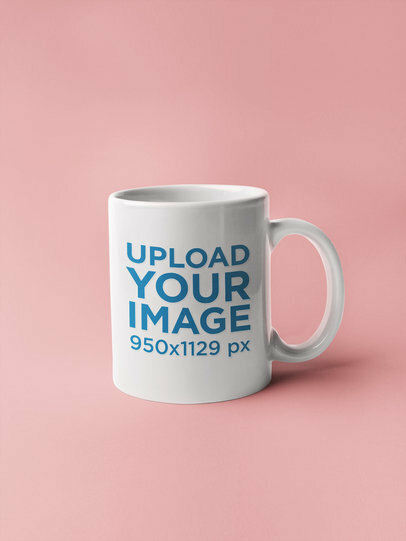 Showcase your brand or content in a cool way with a retro touch! 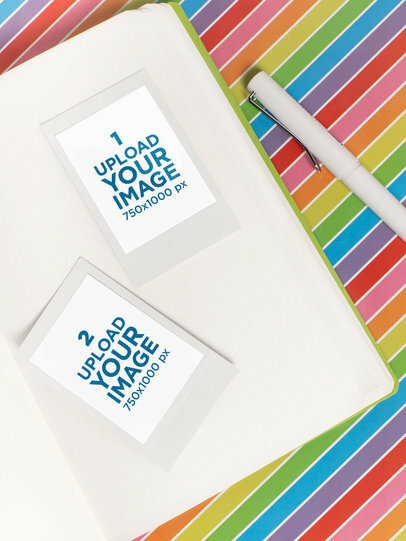 Try the new Polaroid frame mockups and start customizing your favorite ones within minutes. What about this one featuring a summer hat and some pinecones over a wooden table? 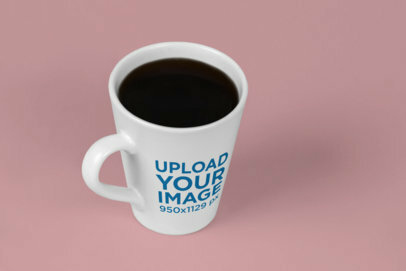 Just what you need! 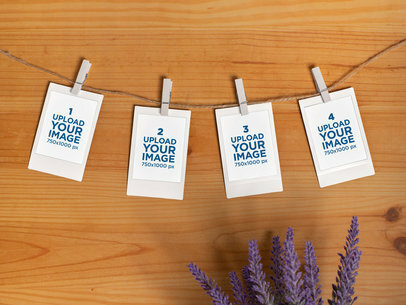 Choose your favorite Polaroid picture frame mockups and improve your marketing strategy right away.